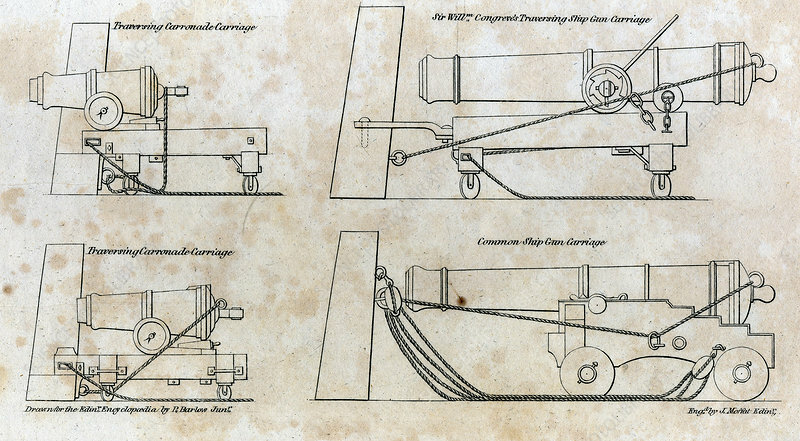 Drawings of ship gun carriages. Left, Traversing Carronade carriage. Carronade, short piece of naval ordnance with large calibre chamber, like a mortar. Right top, William Congreve's traversing ship gun carriage: Right bottom, Common ship gun carriage. From 'The Edinburgh Encyclopaedia'.